When launching your affiliate program one of the first things you’ll need to look at is how to structure affiliate commissions. You’ll need to decide if you’re going to set up a complex or simple payout structure. There are multiple ways to do this but let’s take a look at the different options. The options below are broken down into two types of affiliate programs; product sales and subscription/services sales. Example: A customer purchases a laptop, mouse and keyboard for a subtotal of $750. Your commission rate is set at 10%. The affiliate payout would be $75. This option simplifies the commission structure and is easy to understand for affiliates. One percentage rate is given to the affiliate for the total sale and individual products do not factor into the calculation. Example: A customer purchases an iPhone case for $35. Your commission rate is set to $5 per sale. The affiliate would earn $5. 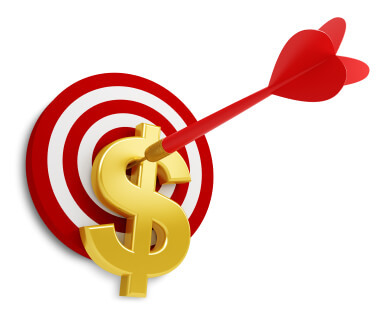 This affiliate payout model can be used but does not work particularly well for product sales. For example, if the customer purchases 3 iPhones the affiliate would not be compensated more for one item vs. three items. You can see how this model is more complex than a flat percentage or dollar amount per sale. This affiliate commission structure is usually introduced when an advertiser’s margins vary greatly from one product type to another. This is very common in the affiliate channel but it’s recommended that you keep the item lists and commissions as simple as possible. Here’s an example of a cell phone advertiser and their item based commission structure. As you can guess, the advertiser’s margins are tight for cell phones but much higher on Bluetooth products. This structure above allows the advertisers to keep commissions in line with profit but also keep things relatively simple for the affiliates. Subscription based affiliate programs are structure fundamentally different from product based programs. With a subscription sale the customer is agreeing to pay a company a recurring fee for the use of their service or redemption of product. This creates an inherent issue with only paying the affiliate based on the initial shopping cart subtotal. The customer is much more valuable than just their initial payment because they have created an ongoing stream of revenue for the advertiser. The affiliate needs to be compensated for that and based on the life-time value of the customer. Here is an example of how a magazine advertiser would calculate a fair commission structure for their subscription service. Acme Magazines sells 6 month magazine subscriptions ranging from $4.95 to $6.95 per month. Their average sale is a $5 monthly magazine subscription and customers tend to keep a subscription for 1 year. With those figures the life-time average value of a customer would then be $60 ($5 x 12 months). When calculating the commission it wouldn’t be fair to only compensate the affiliate 50% of the sale because the first charge in the initial checkout process would only be $5. Hence, the affiliate would only earn $2.50 on a customer that should generate the advertiser $60. This is where converting to a flat, increased payout makes sense. Let’s assume that the advertiser has a budget of 15% for the acquisition of a customer magazine subscription. The commission structure would then be set up for a flat $9 (15% x $60) affiliate payout for each magazine subscription sold. It is important to focus on the life-time average value of a customer and compensate the affiliates accordingly. Doing this will create a very attractive program for affiliates and one that they’d be happy to promote. Regardless of the type of product, service or subscription you sell, the affiliate commission structure is the cornerstone of creating an attractive program. If not structure correctly, affiliates won’t be incented to send traffic to your website and your program will not gain traction. 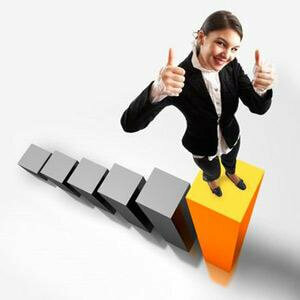 Versa Marketing Inc. can work with your company to structure the appropriate affiliate commissions. Our approach to affiliate management will take into consideration your profitability while combining that with our knowledge of what affiliates want to promote. Our experience has taught us how programs should be structure in order to be successful. I’m often asked by affiliate publishers how to get a tracking link in ShareaSale. ShareaSale can definitely be a bit clunky at times, especially compared to other affiliate networks like Commission Junction, but it is actually a pretty easy task and I’m a fan of ShareaSale as a whole. A tracking link is one of the critical pieces to ensure that visitors reading through your website or blog or whatever are going to get to the correct page that you want to send that traffic to. And importantly, that the visitor is tracked back to you so that you receive credit for the sale or lead. The first step to pulling a tracking link for a website you want to promote is to login to ShareaSale. I always login from the ShareaSale’s main page. (You can also login via individual affiliate program pages and skip to step 3.) I keep all of my logins for the different affiliate networks on a handy sheet so that I never forget my name and password. Once you are logged in, go ahead and click on “Links” at the top and from “Links”, move your mouse over to “Get a Link / Banner”. This will by default bring you to a screen displaying all of the Merchants (affiliate programs) that you are approved for. (Note: if you haven’t yet applied for and been accepted into a program yet, then go to the top and click on Merchants first to apply for programs). Now scroll through the programs and look for the program you want to get a tracking link for. You can scroll using the drop down menu or just by moving down the page and locating the correct program. Go ahead and click on “Get Links” in the center of the page. This will display the following “Get Links Page”, which as of April 13th 2012, was still classified as “New”. No telling when ShareaSale will have a new “new” page. The most common types of Link that you might use are Banner, Text and Product. There are a few other types as well, but if you are still reading this article, chances are, the only type of link we are concerned with right now is “Text Links”. Here, you should see a description of the text link that gives you an idea of what wording is suggested for this link and importantly, what sort of landing page this link might be going to. You can look for links that go to a homepage, landing page displaying an offer, category page or sometimes specific products that are being highlighted. You will then be presented with your personal ShareaSale Tracking Link. It will be shown to you in two options. Option one includes suggested copy for you to use in HTML format. Option 2, the easy option, presents the shortest possible tracking link available to you. You can then take this link and paste it into the copy that you are writing as a hyperlink or as it is often displayed, Insert Link. Click on the link to see what page it takes you to and to confirm that that is where you want your readers to go to. Now, if you place an order on that website, that sale will be tracked back to you because your tracking link was used. For the curious, let’s look at the anatomy of a ShareaSale tracking link. Your link will look something like this…. The three sets of numbers serve 3 important parts of the tracking link. One number is your affiliate id number, another is your merchants id number and one number will be your link id number that determines where the traffic will go. Feel free to contact one of Versa’a affiliate managers if you still have questions! The Apples of Gold Affiliate Program in both ShareaSale and Google Affiliate Network has a wide selection of engagement rings and wedding bands. Affiliates earn a 7% commission on all sales and average order has been floating around $500 resulting in a $35 payout per order! Customers enjoy Free Shipping and a 45 day return policy. In addition to wedding rings for the bride and groom, Apples of Gold also has a large selection of crosses that make perfect Easter gifts. You can join this affiliate program in ShareaSale from the wedding category. Contact Versa Marketing affiliate managers with any questions! What is the Versa Marketing affiliate program management team working on? The Versa Marketing team of affiliate recruiters is busy doing outreach to super affiliates and building relationships by creating mutually beneficial partnerships for merchants and publishers. We know that without affiliate publishers marketing our clients programs, Versa wouldn’t have much success growing sales. When the founders of Versa Marketing Inc. decided to focus their attention on growing affiliate programs, the impact of the marketing partnerships that Versa had in the rolodex was exciting. Versa works to engage current affiliates that are seeing already good CTR and EPC to leverage that traffic into even more profitable traffic for both the merchant and affiliate. Then Versa moves onto find out which affiliates aren’t in a program, but should be and usually finds an extensive list of versatile affiliates that they want to bring on board. Some programs require special detail be assigned to content niche specific affiliates that will have a high conversion rate and will represent a brand well. The Versa Marketing Inc. affiliate team will be at annual LinkShare Symposium East 2012 for the annual affiliate network event. Few affiliate marketing companies want to miss the opportunity to meet with the top LinkShare affiliates and plan campaigns for their affiliate programs. VMI affiliate managers use the time to strengthen relationships with affiliate publishers that have proven ability to drive significant traffic for affiliate programs. We’re hoping that LinkShare Symposium will again be a big draw for our east coast affiliate publishers. LinkShare is always a great host and puts on a good party for the event. If your company is going to the event and would like to meet with the Versa Marketing affiliate team, then feel free to reach out. The LinkShare Affiliate Network is one of the big traditional networks in the US and around the world. Versa Marketing Inc. manages cost per sale programs in LinkShare’s Exchange Platform. We’ll also work with LinkShare’s Lead Advantage team for some Lead Gen programs. As an affiliate agency, sometimes termed outsourced affiliate program management (OPM), VMI works with many different affiliate networks. VMI always launches affiliate programs on a clients behalf, ensuring that they retain ownership of their affiliate program. Whether we launch a program or take over management of a program, our client always retains ownership of that program. LinkShare has a large base of affiliates in their network that we recruit to join the programs we manage. With this large base, many different types of programs can do well in LinkShare. The Versa Marketing team works to engage these partners and explain the lucrative benefits of promoting our clients products and services. LinkShare has been online since 1996, making it one of the older and established affiliate networks. If your company is interested in having Versa Marketing Inc. manage your affiliate program in LinkShare, then please contact our client services team. 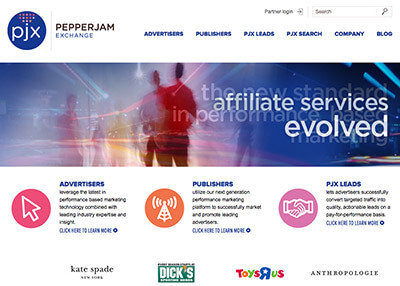 The PepperJam Affiliate Network is a great network for fashion and apparel programs. Our team of affiliate managers likes the recruiting features at our disposal within the network for communicating with enrolled and potential publishers. Slightly smaller than some of the other affiliate marketing companies operating networks, PepperJam still delivers a top notch CPS network. The Versa Marketing team can launch an affiliate program in PepperJam or take over management of an existing program in the network. If you are looking for an affiliate marketing company that is sales driven, then consider VMI for management of your PepperJam program. Here are a few tips on affiliate marketing programs for beginners that will get you started making money promoting a website. A person or company that promotes another website is known as an affiliate publisher or simply as an affiliate. Beginners should know that it is pretty simple to get started. First, join a network. CJ and Google Affiliate Network are two of the easiest to get started with. Next, pick a program that has a product or service that interests you. Then simply just grab an affiliate tracking link and put it on your website, email, blog, or where ever you choose. Copy the link and paste it into the HTML of your website or other internet based promotion. You are now marketing an affiliate program! Remember, everyone is a beginner before becoming an expert. You’re no different. Keep New Years resolutions alive and start something new this year by starting to earn money through affiliate marketing! VMI and CJ – A Strong Affiliate Management Partnership! Versa Marketing Inc. partners with Commission Junction Affiliate Network for many affiliate programs. As an agency, VMI doesn’t own and operate an affiliate network. Instead, we partner with affiliate marketing companies that operate affiliate networks and we manage programs within those networks. CJ is recognized globally as one of the best networks (and considered the premier network by many in the US). When launching an affiliate program in a network, VMI, looks at several factors to determine if that network is the right fit for our client. CJ is a good fit for our traditional online retail clients. When we have an established brand or website that wants a cost per sale program, then CJ can make a lot of sense. CJ has one of the largest networks of affiliates, which means that we can quickly recruit publishers to your program. Commission Junction’s tracking and reporting tools are also trusted and robust. 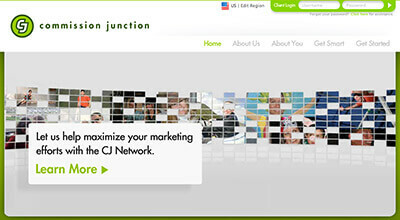 CJ also has a good communication platform on which to engage affiliate partners. This polished affiliate network comes at a slightly higher cost to use. If you are considering launching an affiliate program in Commission Junction, then contact Versa Marketing Inc. first to find out if you are eligible for a discount. VMI’s affiliate managers have over a decade of experience managing affiliate programs in CJ and can optimize a program for continued growth. AvantLink is one of the smaller affiliate networks, however, they have carved out a nice niche in the outdoor gear and sports category. Anytime Versa Marketing is consulting with an outdoor apparel company, we consider an affiliate program in AvantLink. 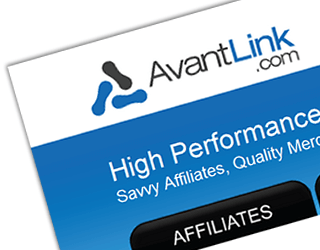 AvantLink certainly isn’t limited just to outdoor recreation affiliate programs. They also do hunting, fishing… and I’m just kidding. Seriously though, any program will work in AvantLink – Wedding is also a category. The platform is only for cost per sale programs. If you would like a proposal for launching an affiliate program in AvantLink, please contact Versa Marketing Inc’s client services team.